With the holiday season nearing, we can already see Christmas decorations all over town. There is nothing more festive than curling up on your couch with the lingering smell of a freshly trimmed Christmas tree. Before you rush out to buy one, if you live in a condo or apartment, there is likely a restriction against live Christmas trees. Be sure to check with your strata or management company before selecting a tree. If you are allowed to have a live one, it is likely they will have some requirements about where it can be placed. If not, artificial may be the way to go. If you do decide on an artificial tree, make sure it’s made of flame-retardant materials and is CSA approved. Find a fresh, green one. How do you know if it’s fresh? Bend the needles. If they break, the tree has probably already dried out. Check to see if your tree is still sappy, if it is, it’s likely to be fresher. Finally, tap the tree against a hard surface. If needles fall everywhere, it is too dry. When you put your tree in the holder, make a small cut about an inch from the bottom of the tree, or remove an extra half-inch to two inches from the bottom. This allows the tree to absorb water more effectively. Fill the holder with water. Check it every day and keep it filled. Trees can absorb a lot of water. A six-foot tree needs about a gallon of water per day. You might want to set a reminder for yourself to water daily. There are also some warning systems you can purchase that sound an alarm if the water level in your tree stand gets too low. Make sure the tree is an appropriate size for your space. Too large and it could be a safety hazard by blocking exits and entrances. Don’t place the tree near heat sources or electrical outlets, including lamps, fireplaces, or heaters. Never use candles on or near the tree. One in four Christmas tree fires results from the tree being placed too close to a heat source. Experts recommend at least a three-foot distance. Check your strings of lights for any frayed wires or broken sockets. Replace any questionable strands, do not use them. Use indoor lights indoors, and outdoor lights outdoors. Don’t use too many lights. Three strands are the recommended maximum. Never run the cords under a rug or carpet. 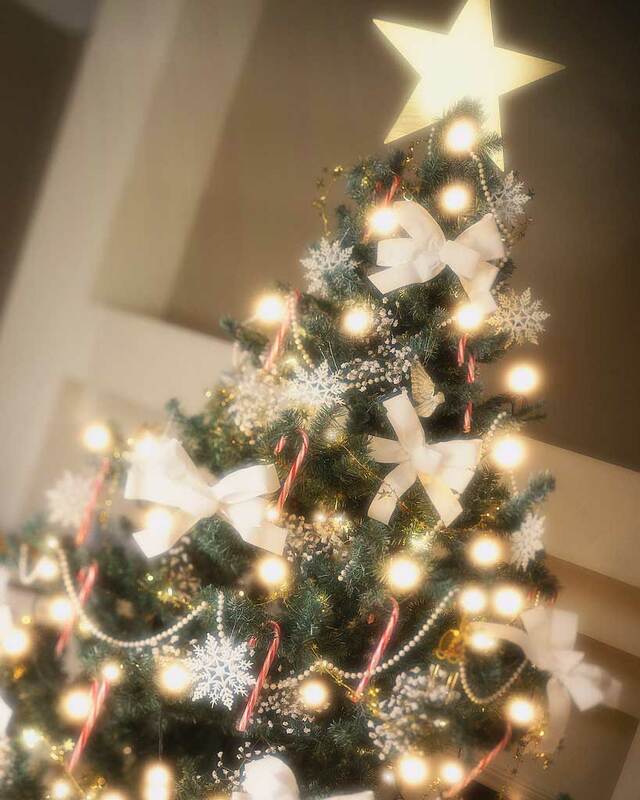 Mini lights generate less heat, and won’t dry out your tree as quickly. It’s also a good idea to find lights that are energy efficient. They may cost a bit more initially, but they will last longer and also benefit your electricity bill, plus they are much better for the environment. Make sure you unplug the lights when you go to bed, or leave the house, and blow out any candles. If you do decide to go with an artificial tree, make sure not to use electric lights on a metal tree as they can charge the tree, causing electrocution. Most artificial trees are fire resistant. This doesn’t mean they won’t catch fire, but they should be easier to extinguish and resist burning. Christmas trees, live or artificial, can be a fire hazard. Take this opportunity to check that your smoke detectors are working or replace their batteries, and keep a fire extinguisher handy, just in case. After the holiday season, check with your neighbourhood to find the nearest tree disposal site. Your tree becomes more of a fire hazard when it dries out. Generally, a tree needs to be disposed of within 14 days of purchase. Finally, make sure your home insurance is in place. If the worst should happen, you want to be protected. All basic home insurance policies cover fire loss, but if you do have any questions about what types of personal property are covered, or where you would stay if there was an insured loss to your home, and who would pay for it, then call your home insurance provider. Home insurance is about peace of mind, and it is always worth it to take some extra time to make sure you and your loved ones will have the coverage you need. Taking a few precautions can help keep us all safe.